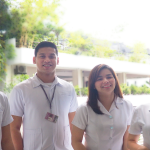 Bachelor of Science in Occupational Therapy – Davao Doctors College, Inc.
Occupational Therapists (OTs) help clients live independent, productive, and satisfying lives. The Occupational therapy practice appeals to people who are creative thinkers and can flexibly solve problems with a diverse group of individuals in activities of daily living. There are several reasons for the great demand for Occupational Therapists. There is an increase in the number of individuals with disabilities or limited function who require therapy services. Medical advances result in a longer life span allowing the growth of population 75 years and older, an age groups with high incidence of disabling conditions. The advancements in science and technology allow more patients with critical problems to survive. 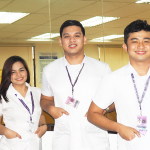 To help address the demand for OTs here and abroad, Davao Doctors College opened the OT Program starting SY 2010-2011. Various departments of DDC helped in the preparation for compliance to the CHED requirements. Room 309 was set-up as the OT skills laboratory. There were twelve (12) first year enrolees. On Jan 13, 2010, the Program was granted Government permit for the second year level. Government Recognition was then granted to the program on November of 2014. The first batch of graduates produced two topnotchers, Ms. Marinar Fe Latada as 2nd placer and Ms. Melody Joy Palma on the other hand took the 6th place during the OT national licensure examinations. The second batch of graduates through Mr. Carl Joseph Dasargo garnered the 5th place in the licensure examination.